Doveman delivers the best show of the year so far | Will You Miss Me When I'm Gone? I’m not sure what it is about Thomas Bartlett, aka Doveman, that makes him so brilliant. Like many of you, I first discovered him when he was the man behind Salon‘s late, lamented Daily Download feature. At that point, I had no idea who he was, but enjoyed his tight writing about music and really enjoyed his taste and his ability to spotlight tunes that I might have missed and would have lived to regret. But soon he gave that up and turned to his real love, making music. Those who were paying attention soon discovered that Thomas is a very talented singer-songwriter in his own right with his beautiful, fragile style that he calls “insomnia pop.” He’s made some beautiful albums under his nom de stage. 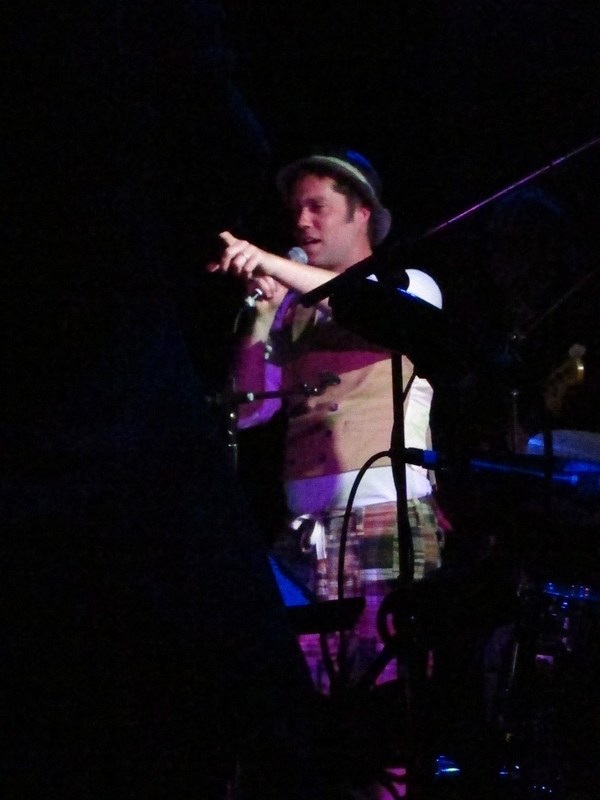 But Thomas is probably more familiar to audiences as the guy will lots and lots of amazingly talented musical friends. 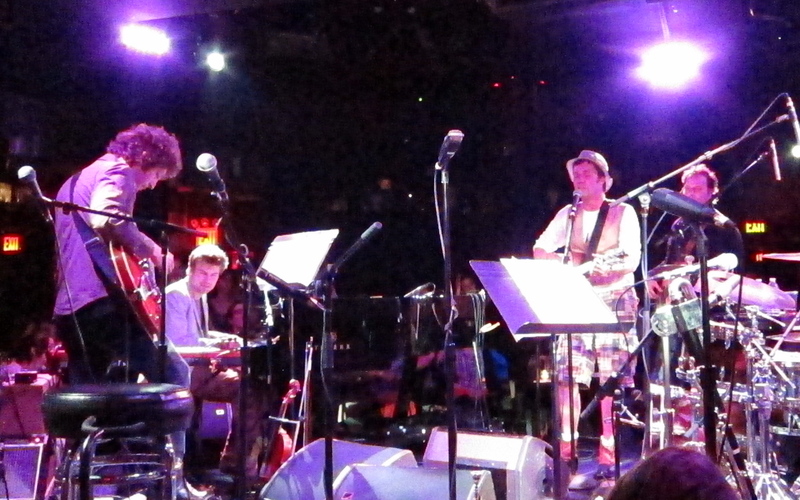 Rob Moose, Doveman, Rufus Wainwright and Brad Albetta. 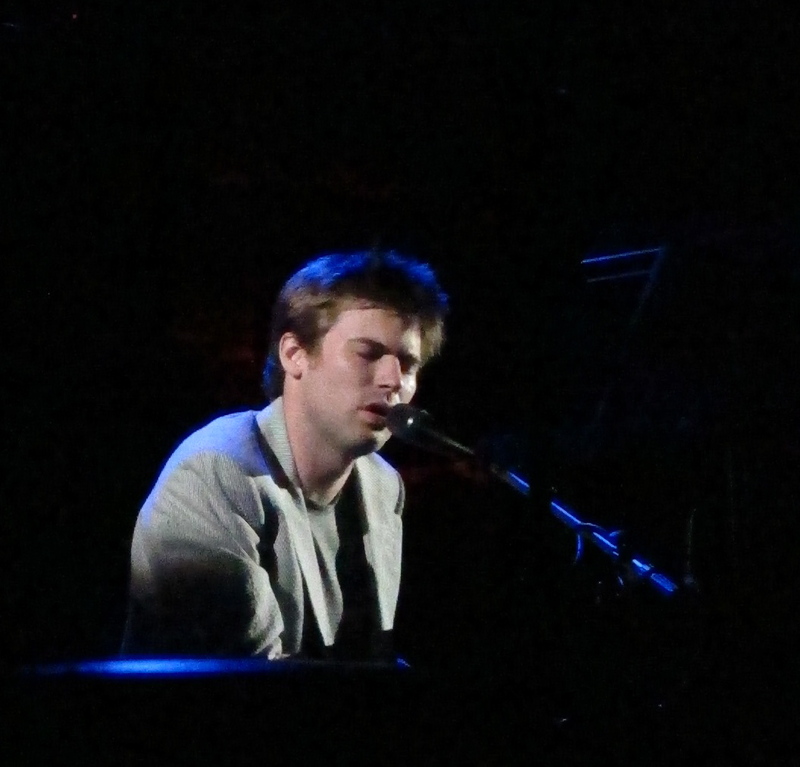 He’s been presenting The Burgundy Stain Sessions (the next edition is June 24) shows on a more or less monthly basis lately at (Le) Poisson Rouge. The format is pretty straightforward. He gets the room set up in the round, invites some of his talented friends, does a little rehearsing and puts on a show. It’s the kind of event where just about anything can happen. The sessions we’ve see have been beautiful, sloppy things. And we don’t mean sloppy in a bad way. No, we mean sloppy in a warm, wonderful surprise-wet-kiss way. The latest Burgundy Stain installment, last Thursday (May 26), took things to a new high. The involvement of Thomas’s friends Rufus Wainwright, Sean Lennon and Charlotte Kemp Muhl (who perform as The Ghost of a Saber Tooth Tiger), turn this session into the best show we’ve seen so far this year. 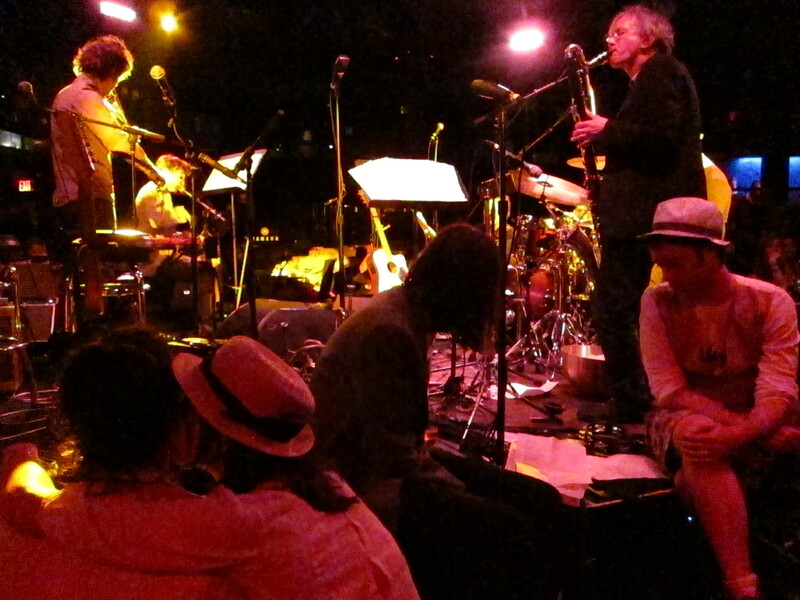 Among the other musicians onstage was Brad Albetta, Rufus’ brother in law, on bass. And while Will You Miss Me When I’m Gone has been using Twitter more heavily to communicate with you lately than this blog, you know the show schedule hasn’t really slowed lately. I’ve been to a lot of shows, but the day job makes it tougher to find time to write to you at length about what I’ve seen and heard. Rob Moose accompanies Doveman on violin. The oddest thing about this show was that it didn’t sell out in advance. Tickets didn’t dry up until the morning of the show, even though Rufus had been listed on the bill very early on. It’s hard to believe that it didn’t sell out almost immediately. After all, Rufus sells out much bigger places on his own. At any rate, fans who were paying attention managed to get to see a show that practically blew away everything else this year. It was gentle, loose and wonderful, with everyone sharing the spotlight. Although Bartlett tends to play MC and backup player throughout these shows, he is an awesome talent and deserves to be front and center. He kicked off the evening with his own take one of Rufus’ songs,”Tower or Learning,” just to whet the audience’s appetite. 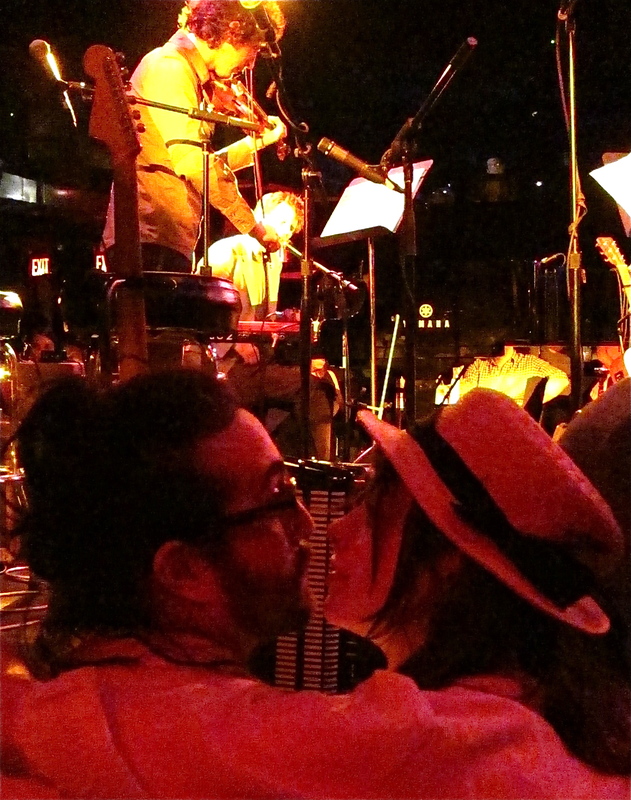 Sean Lennon and Charlotte Kemp Muhl show their affection. Thomas didn’t neglect his own work, though. He offered a new song (one that we’ve heard at least once before at these sessions) before sharing the spot with Lennon and Muhl. 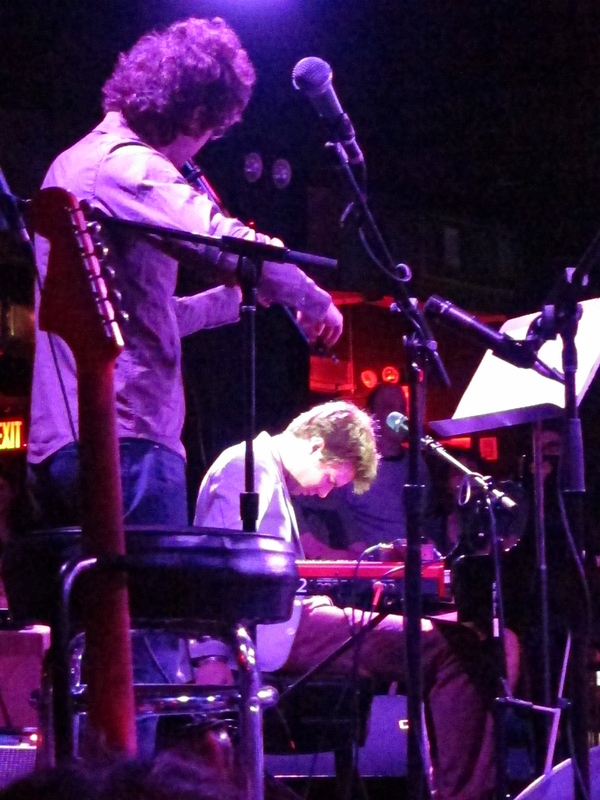 Wainwright waited in the figurative wings before taking the stage about halfway through the 90-minute set. Bartlett and GOASTT played together on songs by the host and by the duo before Wainwright joined the fun. 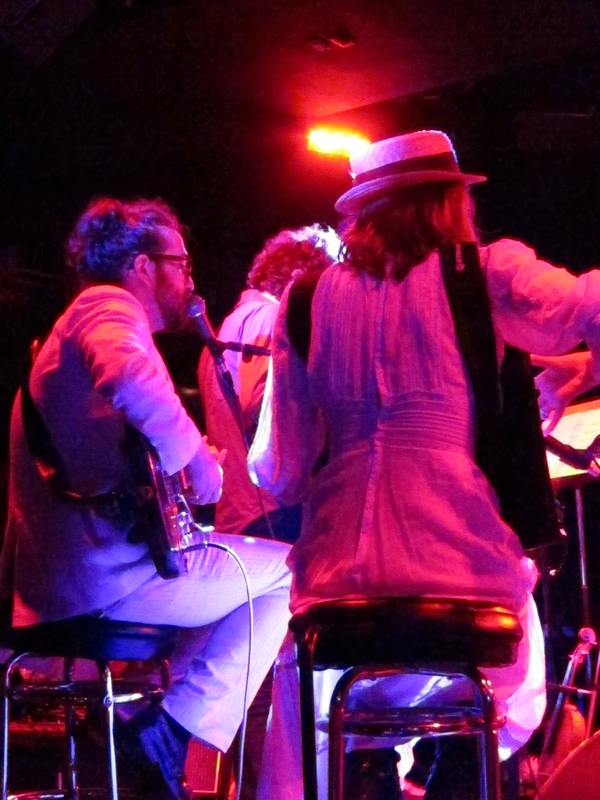 Sean Lennon and Charlotte Kemp Muhl onstage. The series started in January, with guests including Glen Hansard of the Frames, Beth Orton, Sam Amidon, Bryce Dessner of The National, composer Nico Muhyly and Annie “St. Vincent” Clark. It’s a formal extension of the informal salons that Thomas and his friends have had in their homes in the past. I, for one, am grateful to have been invited to join them. 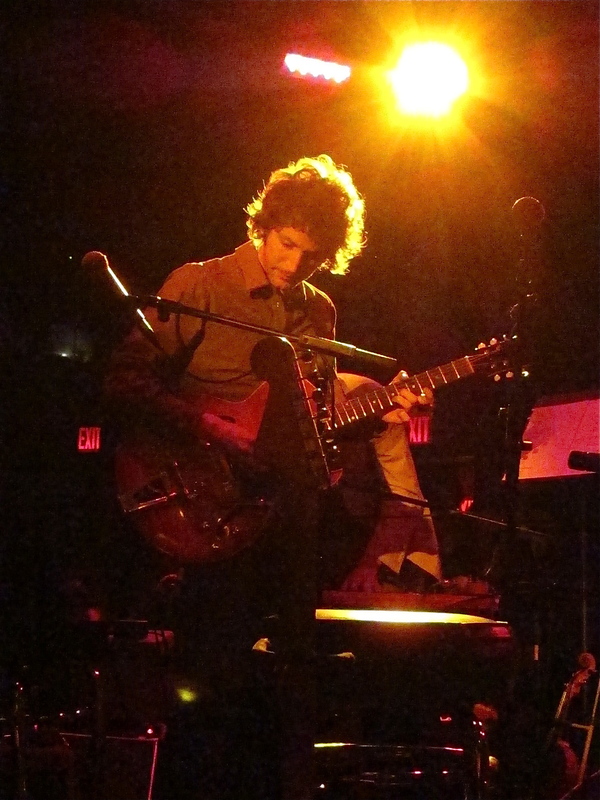 Until I saw Rob Moose with a guitar in his hands instead of a violin, it never occurred to me how much he resembles a young Bob Dylan. This entry was posted in Concerts, Music, Pop and Rock, Review and tagged (Le) Poisson Rouge, ACME, Annie Clark, Beth Orton, Brad Albetta, Bryce Dessner, Charlotte Kemp Muhl, Daily Download, Doveman, Neil Young, Nico Muhly, Ray Rizzo, Rob Moose, Rufus Wainwright, Salon, Sam Amidon, Sean Lennon, St. Vincent, The Burgundy Stain Sessions, The Ghost of a Saber Tooth Tiger, The National, Thomas Bartlett. Bookmark the permalink. Great piece, thanks for introducing me to a new artist!